It's true and it's about to happen in June. The infamous Galaxy Note 7 which had caused Samsung to lose billions of dollars, as well as suffer a lot of criticism, bad reputation and take jabs from even the contemporary US President Obama himself , is finally coming back to its home country with a smaller 3,200mAh battery and a roughly 300,00 Won ($266) price cut. The refurbished Galaxy Note 7 will now be available for purchase in South Korea, starting from June. No new units have been made according to the reports and there will be only about 300,000 of these refurbished smartphones available with a slashed price tag of 700,000 won (or $620). Samsung won't be rebranding it as anything else, so it will go on sale with as the Galaxy Note 7 (SM-N935), just like it should. 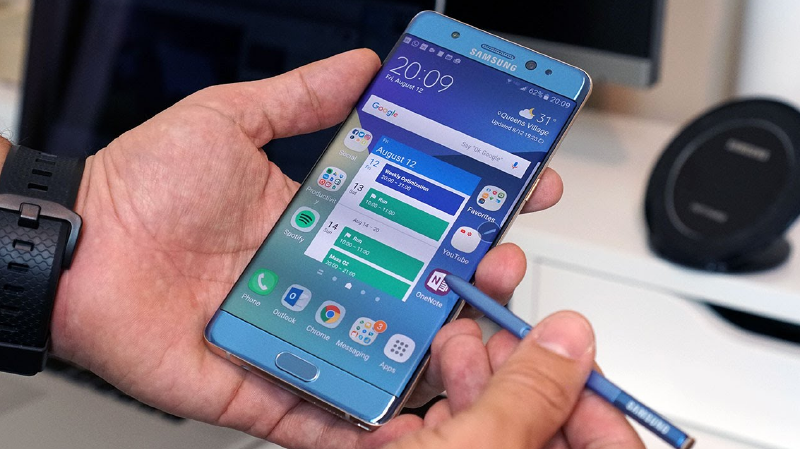 In spite of all the negativity, it should be noted that the Note 7 was a huge hit for the company and before everything went haywire, critics all around the globe praised it as the best smartphone by Samsung yet. Would you buy one at this price point if it was available near you?